Amanda L. Riddle represents clients in various general and complex litigation matters, including business, employment, elder law, personal injury, and mass torts. Ms. Riddle manages the firm’s employment law practice. In addition to overseeing all of our employment litigation cases, her extensive litigation experience provides a basis for counseling businesses on employment matters, as there is no better attorney to help a business avoid litigation, than a seasoned litigator. Ms. Riddle’s experience includes the representation of 45 families who fell victim to the explosion of Pacific Gas & Electric’s natural gas transmission line in San Bruno, California, on September 9, 2010. For these clients, Ms. Riddle handled all aspects of the litigation against PG&E, as well as first party insurance claims. Ms. Riddle served as co-liaison counsel for all plaintiffs in this matter. In 2013, Ms. Riddle was selected as a finalist for the Consumer Attorneys of California’s Woman Advocate of the Year Award for her exemplary work on the PG&E case. 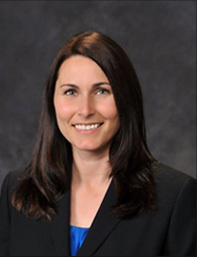 Ms. Riddle currently represents over 140 families who suffered losses as a result of the 70,000 acre Butte Fire in September 2015, which was started by PG&E power lines, and has been appointed to serve as co-liaison counsel for all (over 3,700) plaintiffs in that case. Ms. Riddle also currently represents hundreds of victims of the October 2017 Northern California Fires, the December 2017 Thomas Fire in Ventura and Santa Barbara Counties, and the November 2018 Camp Fire in Paradise, California. In 2008, Ms. Riddle co-founded the San Mateo County Bar Association Legal Clinic Committee, which provides on-site legal services to residents of Shelter Network and Samaritan House’s homeless shelters on the Peninsula.